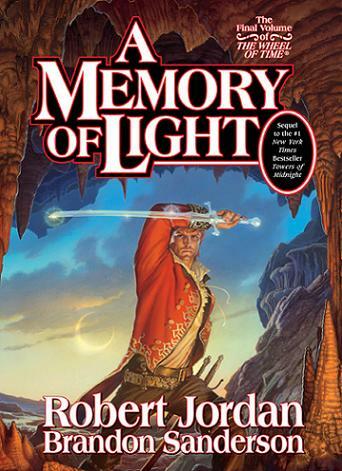 Much of that changed when Jordan passed and Brandon Sanderson took over the franchise. I write that not to condemn Jordan's writing, but to highlight that he had perhaps reached a point in the series where a new set of eyes was needed to finish it. irst with Towers of Midnight, then with The Gathering Storm, Sanderson was able to put aside some of Jordan's pet projects and, for the first times in years, progress the story to the places it needed to go to complete the series. While RJ created the whole thing, those new pair of eyes were vital to reinvigorating the series (both from a quality standpoint and I'd argue from a fan interest point. At least from my perspective). That is about my summation of the final book as well Justin. Well put, and I agree. I'll be writing my review soon, it will be more fleshed out there, but yeah I'm the same. I read The Eye of the World for the first time last year and I didn't even really like it that much, so I think I will stop now. If it was a shorter series I would probably read the second one, but knowing it is downhill from here doesn't fill me with resolve to plow through 4 MILLION more words. A lot of what you wrote was spot on for me as well, but I do disagree with a couple points. It could be the age at which we read certain books (I've no idea how old you are or when you started. ), or just different reader personalities. I'm not sure. Definitely at certain points, and certain books, the story slowed and became a bit of a slog, but I always enjoyed reading the series anyway. I never felt that any of it wasn't worth my time. With that in mind my biggest disagreement would be in whether or not I would recommend the series to new readers. My first response is to say, "Yes! Absolutely yes!" but you raise good points about why you would say no. I have to admit for myself that a big part of my love for the series was growing up with it. Reading the Wheel of Time wasn't just a yearlong endeavor, it was a lifelong endeavor. That certainly skews my views on it, and I wonder if someone who came to the completed series could feel as strongly positive about it as I do. All in all, I appreciate your response. It's not my own, but that's why it's good, and I feel like it's a review the series deserves. Thanks. yup, good review. As someone who gave up after book 7 or 8, I forget which, I assumed there'd be too much to slog through to make it worthwhile, given I can't keep up with all the new books I should be reading. Think you've confirmed my feelings on the subject. i have had the same problem with the Malazan book of the fallen, and Memory, Sorrow, and Thorn(though i did finish shadowmarch series back to back). i have always thought whether it was worth investing time into these books, and after much deliberation, i think the answer is no. i seriously think there aren't going to be many who are going to invest that much time into a series which sags so much in the middle. Abraham, Butcher, Rothfuss, Sanderson, Lynch, Mievelle, Gaiman, Scalzi and many others are doing absolutely fantastic work. they are more emotionally satisfying, for me at least. thanks again for sharing your view. A fitting end to the Wheel of Time. The characters shine throughout the series, most ends tied with the future left to the reader's imagination. There are parts to make you cry and parts to make you laugh. The Last Battle is upon us and the Dragon reborn goes to Shayol Ghul to battle the Dark One. There was many battle scenes and they show Jordan's military genius with beautifully written. The epilogue except for some parts has been wholly written by RJ before his death.